M1 has been one of the often talked about stocks in Singapore. With the share price dropping from a high of $3.96 to $1.76, it has drawn the concerns of shareholders and sparked interests among opportunists. TPG Telecom being the fourth telco who would takeaway a slice of the market share is old news. What we do not know is how much of the share would M1 lose. However, M1 has already reported lower earnings before TPG Telecom offers her services. Shareholders might ponder to sell now in case the news get worse. Or…would these bad news depress share prices to ridiculous levels such that it becomes a buy opportunity? The fog of uncertainties is what makes investing so challenging. 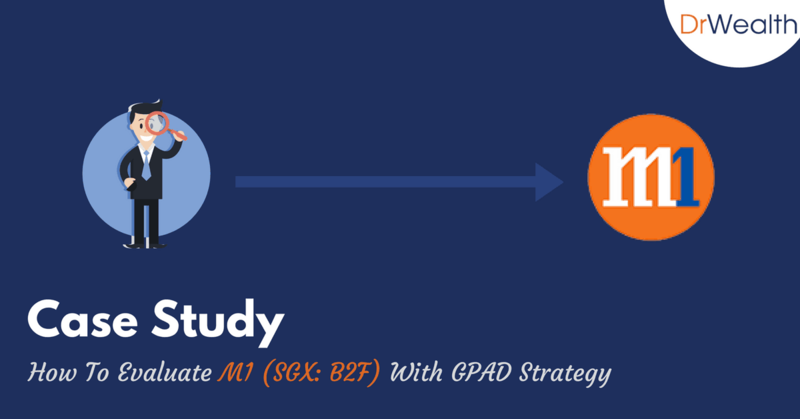 In this article, we will use the Gross Profitability Asset Dividend (GPAD) strategy to evaluate M1. It is going to be a very quantitative approach and you might not be used to reading it. We tell less stories and let the numbers do the talking. We believe story telling is very dangerous and misleading, often used to confirm our biases which may hurt our investment returns. This metric has been proven to produce market-beating returns by Robert Novy-Marx. It is as simple as having Gross Profits divided by Total Assets. We will not delve too much into this ratio as it usually takes us hours to explain it in our course. In short, a profitable and good company is able to use very little assets (very scaleable, efficient and less capital expenditure is needed to keep business running) to produce a lot of gross profits (profits after deducting variable costs is the cleanest accounting profit in the income statement). M1 does not report the gross profit in their income statement. But we were able to find the Cost of Sales in the annual report. You can see the bulk of the Cost of Sales are in handset costs. This isn’t surprisingly since M1 have to buy the phone and package it into your mobile subscription plan. This also means that the costs increases in parallel with the sales. We rank all the stocks in the SGX by Gross Profitability and M1 lies in the top 20%! This means that M1 is a highly profitable stock. It is surprising as we intuitively think that telco is a capital intensive business given the infrastructure they need to build. It is true if we look at the absolute amount but it is also extremely profitable considering they can make Gross Profits worth half the asset base within a year! On the flip side, this also means that we might be paying considerably higher fees for our mobile plans than required. Hence, a fourth telco is welcomed to change this. M1 is known to be a dividend stock and has been distributing cash twice a year. A total of 12.9 cents have been distributed in 2016. The recent interim dividend per share for FY17 was 5.2c, lower than the 7c interim dividend in 2016. The dividend yield would decline to 6.3% if we take the rolling 12 months dividend payments. Regardless, the yield is still respectable. We ranked all the stocks in SGX by their dividend yield and M1’s yield is in the top 20% too. M1 has a dividend policy which states they would pay out at least 80% of their earnings as dividends. They have been doing so for the past 5 years. We deem that the dividend distribution of a stock sustainable, if the payout ratio is less than 1. We can see that the payout ratio was more than 1 in 2013. M1 distributed special dividend that year. 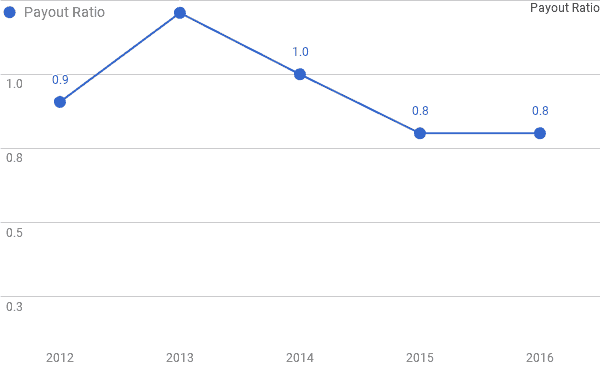 It is very telling that the dividend is likely to drop the following year when a special dividend is announced and the payout ratio is more than 1. Hence, it is important to check this condition and not just rely on the dividend yield alone. One might be tricked by a higher than normal dividend yield. Payout ratio relies on earnings which may not be fully backed by cash. Research have shown that companies with non-cash (accrual) earnings offer lower returns in the long run and should be avoided. Moreover dividends are given in cash, we should evaluate if a company can indeed generate cash. One of the most stringent ways to evaluate cash flow is the Free Cash Flow. In layman terms, this is the amount of cash available to the management after all operations and fixed costs have been paid for. The management can decide if they want to distribute the cash as dividends or to retain in the company for future uses. However, Free Cash Flow is a very lumpy figure due to irregular capital expenditure. For example, a satellite dish can be used for a long time and it is not often a telco would buy a new dish every year. The capital investment to add or replace it is periodic at best. 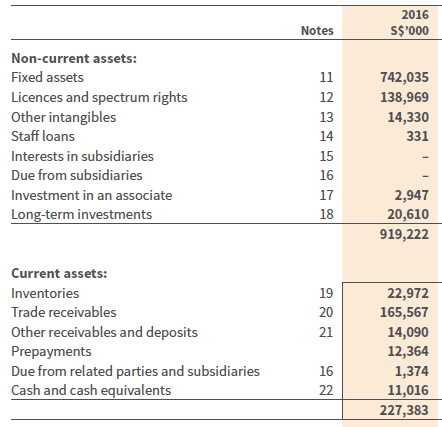 The amount of cash paid for the installation of the satellite is expensed in the cash flow statement at once but slowly depreciated in the income statement. 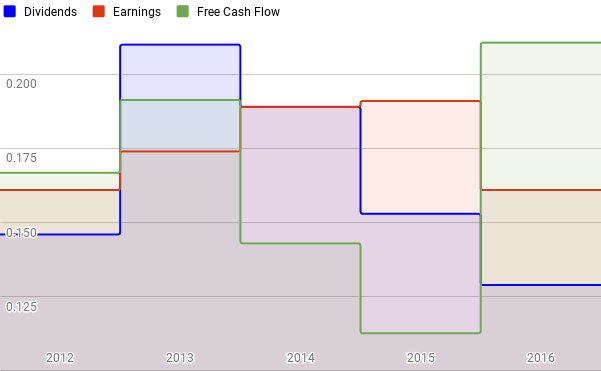 As such we use the average Free Cash Flow over 5 years to smooth it out as well before comparing to the dividends. M1’s average Free Cash Flow yield is 9.2% which is higher than the dividend yield of 7.3%. Lastly, I like to use earnings yield (inverse of PE ratio) to estimate the expected annual returns. For example, M1 earnings yield is $0.161/$1.76 = 9.1%. I would get the same answer when I divide the dividend yield by the payout ratio. In other words, I expect M1’s returns to come from 7.3% by dividend yield and 1.8% by capital gains (payout ratio of 80%, 20% would be capital gains). If I expect to have at least 10% total returns per year, I would give M1 a miss. It would be shortlisted and a good buy price would be around $1.45. The caveat is that this analysis would only be applicable for stocks that pass all the above criteria in this strategy thus far. This is because if a company has poor earnings quality (non-cash based earnings) and lower returns, their earnings yield would not be reflective of your annual returns. M1’s share price has been on the decline and it seems like an opportunity to buy it. In this article we have used the GPAD strategy to quantitatively analyse this stock. M1 has high gross profitability and offers good dividends consistently. However, the expected annual returns from the stock is not as attractive as we desire. It is worth to shortlist and wait for better prices to enter. 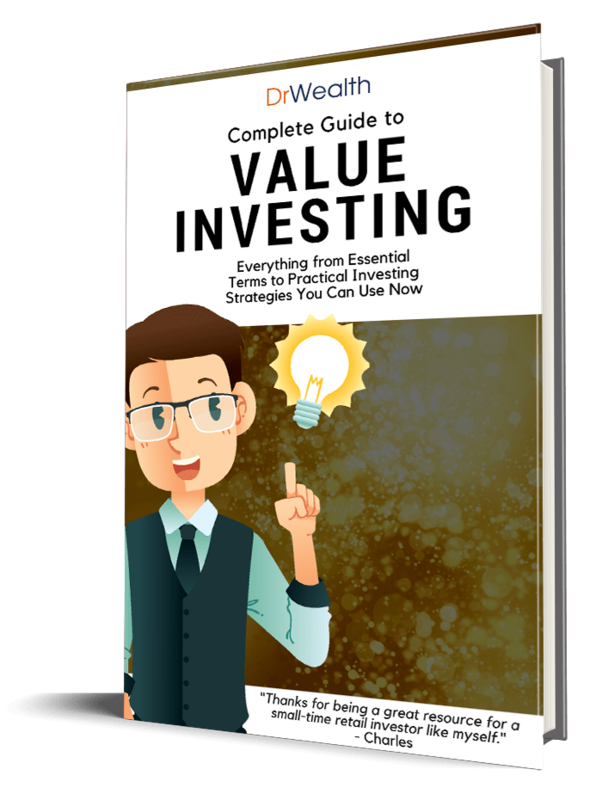 The purpose of this article is to share our investment approach to capture the Profitability Factor on dividend paying stocks. It is not meant as a recommendation to buy or sell this stock.